Cleaner Maida Vale employs a team of professional gardeners in Maida Vale W9. Our gardening services include hedge trimming, lawn mowing and garden cleaning. If you have just moved into a new house that has this huge outdoor space, but gardening is not one of your talents, then you need professionals. Luckily, our London-based company provides all kinds of gardening services all around the city, Maida Vale included. All you need to do is contact us right now and we will turn your garden into a beautiful piece of art. Mind you, our customer support agents answer the phones 24/7 and our diligent gardeners operate daily, even on holidays and during weekends, so you are free to book the service any time you find fit. To be an excellent gardener does not just mean that you need to be extremely skilled and crafty, but also a bit of an artist. Cleaner Maida Vale is proud to say that all our employees are true artists. They are capable of turning even the bushiest place into a lovely outdoors site. Moreover, your garden will ideally match the exterior of your house. Lawn mowing in Maida Vale. 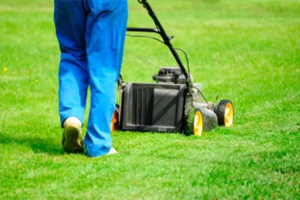 You can call us any time your lawn needs to be mown. Landscaping. Your garden will be adorned with the most beautiful flowers and greenery by our skilled employees. Tree pruning and hedge trimming. These operations need to be done, so as the health of your trees and hedges to be ensured. Mulching. Our gardeners will use only the best quality mulch for the protection of your soil. It does not matter whether you will opt for one or more of the services we offer. You only need to know that they all will be performed only by the best professionals in the field of garden maintenance. They are have all been thoroughly checked for previous offences and have received excellent training, so you need to be sure that your outdoor space will be in safe hands. And the best thing is that they always work only with the most efficient equipment and the best eco-friendly products, offered on the market. If the services we offer suit your needs, feel free to contact our support centre any time you want. The phones are always answered by kind and competent consultants who are always ready to help each and every of our customers. Do not worry if you do not live in Maida Vale or the nearby areas, our gardeners cover all addresses within the territory of London.